Christian Marclay, UCLA Hammer Museum, Los Angeles, CA; The Center for Curatorial Studies Museum, Bard College, Annandale-on-Hudson,NY. Sound Seen, Washington Project for The Arts, Washington, D.C. Taking the musical world as his primary material, Christian Marclay fuses the documentary with the imaginary, merging the public and private worlds of listening. Many sound artists have traversed the limits of silence—beyond John Cage, of course, see Francisco López, or Reynols, or Richard Chartier—but Marclay’s work is different. It either emits sound or it does not. In the large, wood-floored, echoing gallery, the bell-like white noise of continuously trickling water is decidedly at odds with the bright, antiseptic surroundings. The sound issues from a reel-to-reel tape recorder perched high on a wooden ladder that joins the floor to the 14-foot ceiling. From the recorder a constant stream of fine brown tape snakes down to the floor, sinuously folding itself into an ever-growing shiny heap behind the ladder. This is “Tape Fall,” part of a large installation by avant-garde musician, sculptor and performance artist Christian Marclay, which opened at the Hirshhorn Museum June 27 as the most recent of the ongoing “Directions” series of solo exhibits by contemporary artists. And it’s the most interesting thing in the show. Marclay is essentially a postmodern conceptualist in the mold of Haim Steinbach and others of New York’s New Museum of Contemporary Art crowd, and his graphic and sculptural endeavors are intimately tied to his musical interests. But you will be forgiven for believing you’ve walked into some sort of recording industry museum, or perhaps a novelty shop for record buffs. 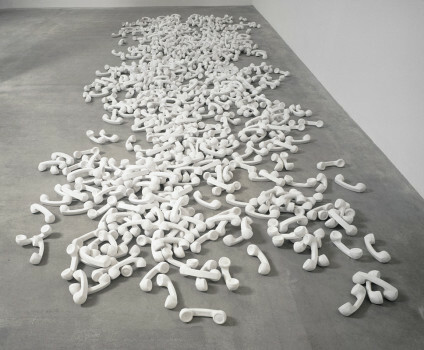 More a collection of separate pieces than one integrated idea, this installation seems intended to function as a sort of walk through the mind of its patently obsessive creator. Everything but the tape recorder piece is related to the age of the phonographic record: There are suitcases with speakers set into them, and a giant clear vinyl sheet of pressed but untrimmed recordings. There is an antique side table inset with 12-inch speakers, and a glass-topped case full of colorful collages constructed of cut up and reassembled albums. 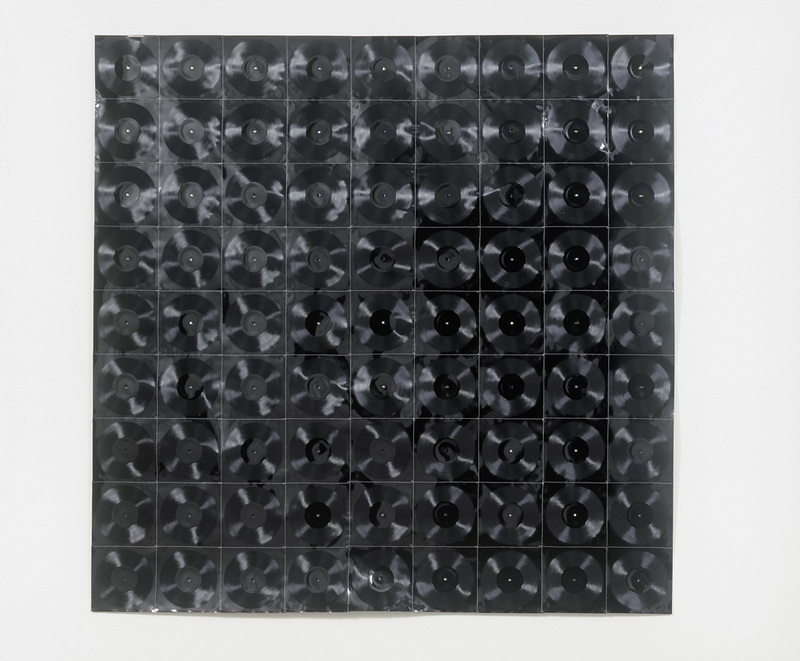 On the floor are five cubes made from melted and compacted records, reminiscent of John Chamberlain’s compacted car-part sculptures of the early 1960s, and there is a large beeswax candle cast from the interior of an old Victrola horn. (Just so there’s no confusion about that, the horn itself sits nearby.) There are allusions to the work of Marcel Duchamp and Man Ray, both of whom evidently made quite an impression on this young artist, despite the fact that they had pretty well summed up the conceptual possibilities of mass-produced objects some 50 years before he was born. The most obvious of these homages is an old wooden door in which Marclay has cut violin “f”-holes, a direct reference to Man Ray’s famous “Le Violon d’Ingres.” But the artist also bows to the work of such trendy art stars as Sherrie Levine and Sarah Charlesworth. You know, the popular- commercial-product-as-signifier-and-icon-of- the-postmodern-age gang. The folks who take photographs of photographs and “appropriate” magazine advertisements. Marclay takes old album covers and collages them to form new designs, with the occasional word or non sequitur highlighted-just to make you wonder why it’s there. There’s a crucifix constructed of speakers, and an arrangement of photographs of the mouths of the rich and famous, just as a divertissement. If you look hard you might recognize the open maws of John Lennon, Alfred Hitchcock and others, some of whom would be better off for a visit to the dentist. There is, however, no music to be heard. Only the tape of the water. Supposedly something profound is implicit in all of this. Wait a minute… . Yes, by George! It’s all about the absence of the music that can be heard only when records are played on a phonograph. There are, I’m sure, other associations to be inferred from the choice of materials, such as they are. In the essay for the catalogue, assistant curator Amanda Cruz writes, “Because of the fragility of their surfaces and because every nick can be heard when played, records must be carefully tended: kept clean and stored in a dry, cool place. They are becoming increasingly rare commodities and can be fetishes for those who resist new technology. Marclay exploits these associations in his record-objects.” All of which is mildly interesting, if not pretty obvious. But after a while you can’t help but get the impression that if you had an obsession, say, with ashtrays-which are surely just as valid as icons signifying the passing of a 20th-century American phenomenon-you could presumably be invited by the Hirshhorn to mount an exhibit, provided you could come up with enough different ashtrays and ways to display them. It might even be more interesting. Christian Marclay and Perry Hoberman have created a curious mixed-media monster this weekend at the Kitchen, 512 West 19th Street, with the last of four evening performances set for tonight at 8:30. Entitled ”No Salesman Will Call” and seen Friday evening, it consists of a 75-minute barrage of audio and video images, juxtaposed in a way that sometimes sounds freely improvised but in many respects is clearly very minutely planned. Clauβ, Ingo (ed. ), KABOOM! Comics in Art. Museum für moderne Kunst, Bremen 2013, pp. 126-127; illus. The Unphotographable. Fraenkel Gallery, San Francisco, CA 2013, pp. 49; illus. Estrella de Diego, Sobre Papel/On Paper. Cáceres: Fundación Helga de Alvear, Centro de Artes Visuales, 2013. pp. 274. Francisco J. Ricardo. The Engagement Aesthetic: Experiencing New Media Art Through Critique, Bloomsbury, Vol. 4., London 2013 pp. 51, 53; illus. Moving. Norman Foster on Art, Carré dʼArt-Musée dʼart contemporain, Nîmes, France 2013, pp. 302-303; illus. Kent, Rachel, Marking Time, Marking Time, Museum of Contemporary Art Australia, Sydney 2012; pp. 24-38; illus. The Art Book, London, Phaidon Press Limited, 2012, p. 351; illus. This Will Have Been: Art, Love, and Politics in the 1980ʼs, Museum of Contemporary Art, Chicago 2012. Museum of Contemporary Art Chicago and Yale University Press, New Haven and London, 2012, pp. 94-96; illus. Roman Kurzmeyer, Friedemann Malsch (eds. ), Example: Switzerland, Unbounding and Crossing Over as Art, Kunstmuseum Liechtenstein, Hatje Cantz, pp.141-143. Notations: The Cage Effect Today, Hunter College/Times Square Gallery, New York, NY 2012 . Christophe Cherix (ed. ), Print/Out, The Museum of Modern Art, New York 2012; illus. 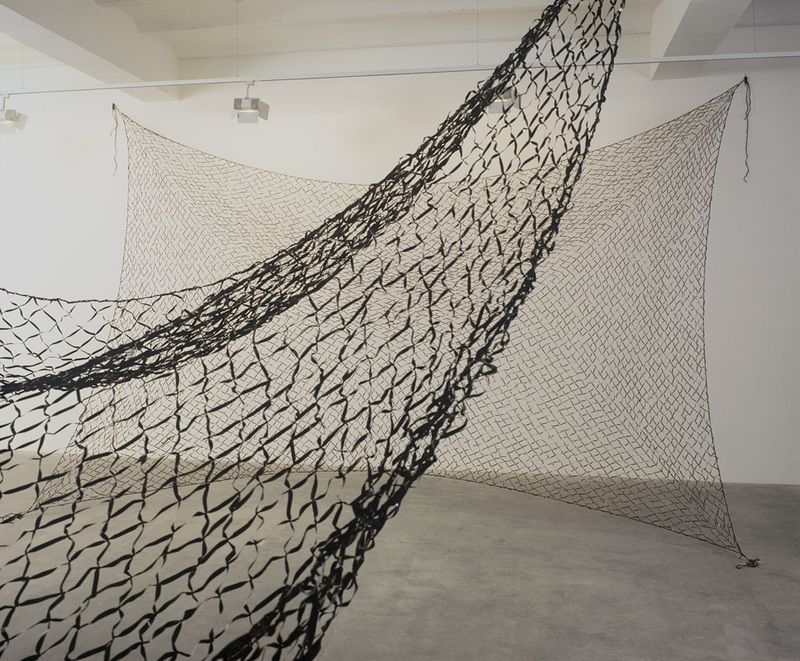 Paper, Musée dʼArt moderne et dʼArt contemporain – Nice 2012, pp. 82-85; illus. Dieter Daniels, Inke Arns (eds. ), 4’33” Sounds Like Silence, Spector Books, Leipzig 2012. pp. 264; illus. Behold, America! Art of the United States from Three San Diego Museums. Museum of Contemporary Art San Diego/The San Diego Museum of Art/Timken Museum of Art, San Diego 2012. pp. 314; illus. Microsoft Art Collection: 25 Years of Celebrating Creativity and Inspiring Innovation, Microsoft Corporation, Redmond, WA 2012, pp. 64; illus. 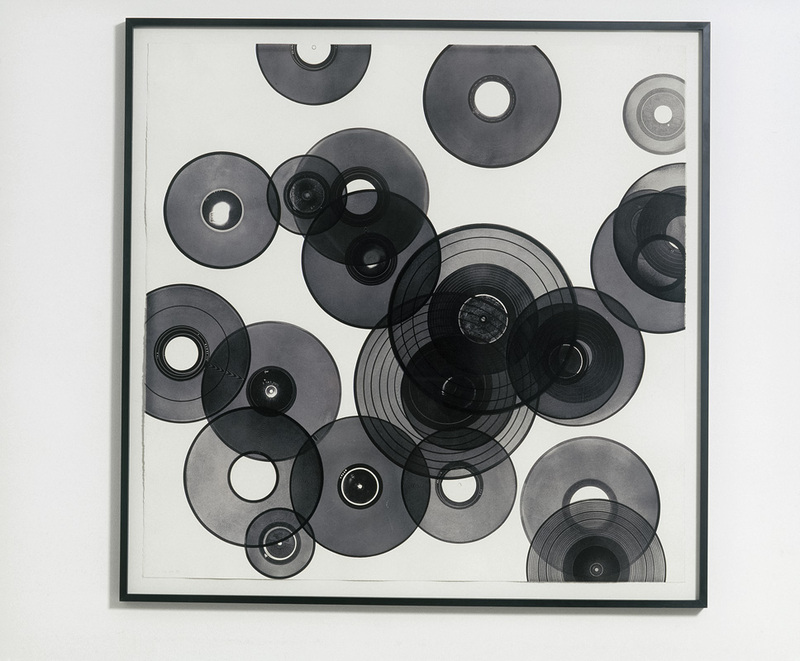 Christian Marclay, Scrolls, Gallery Koyanagi, Tokyo 2011; illus. Dis Connecting Media, co-ed. by U. Autenrieth, A. Blattler, R. Buschauer, D. Gassert. Christoph Merian Verlag 2011, p. 209; illus. Alice in Wonderland, The Finnish Museum of Photography, Helsinki, Finland, pp. 96-97; illus. Cyanotypes: Christian Marclay, Graphicstudio | Institute for Research in Art, University of South Florida, Tampa, FL and JRP/Ringier, Zürich 2011. Krauss, Rosalind. Under the Blue Cup, Massachusetts Institute of Technology, Boston, MA pp. 19, 102-103; illus. Foster, Hal, Rosalind Krauss, Yves-Alain Bois, Benjamin H.D. Buchloh, and David Joselit, Art Since 1900: Modernism, Antimodernism, Postmodernism, 2nd ed. Thames & Hudson, London 2011, pp. 718-22; illus. Leader, Darian, The Clock: Christian Marclay, White Cube, London 2010; illus. Christian Marclay: Festival, The Whitney Museum of American Art, New York, NY 2010; illus. La musique nʼa pas dʼauteur: Gradhiva: Revue dʼanthologie et dʼhistorie des arts, Musee du quai Branly, Paris 2010, pp. 150-151; illus. Schoonmaker, Trevor, The Record: Contemporary Art and Vinyl, Nasher Museum of Art at Duke University, Durham, NC 2010, pp. 15,19, 129- 136, 192, 207; illus. 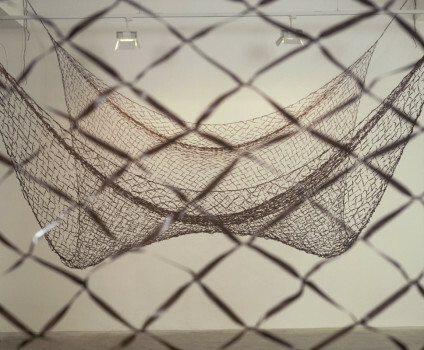 Criqui, Jean-Pierre, Fourth of July, Paula Cooper Gallery, 2010. Du Lourd et du Piquant, Les Rencontres dʼArles, Actes Sud, Arles, 2010, pp. 180- 181, 216-217; illus. Bajac, Quentin, Après la photographie? De lʼargentique a la révolution numériuque, Découvertes, Gallimard 2010, p. 81; illus. Drutt, Matthew, DreamWorks, Artspace San Antonio, San Antonio, TX 2010, p. 15; illus. Furthermore, Fraenkel Gallery, San Francisco, CA 2010, pp. 9, 71; illus. Márgenes de Silencio/ Margins of Silence, Helga De Alvear Collection, Centro de Artes Visuales Fundación helga de Alvear, Cáceres 2010. Sarmiento, Jose Antonio, La musica del vinilo, Centro de Creación Experimental, Cuenca, Spain 2009, pp. 364-366; illus. Grau Zero, Paço das Artes, Sao Paulo, Brazil 2009, pp. 16-19; illus. Stop.Look.Listen, Herbert F. Johnson Museum of Art, Cornell University, Ithaca, NY 2009, pp. 83-83; illus. Fumihiko, Sumitomo, Deep Images, Yokohama, Japan 2009, p. 32; illus. Young, Paul, Art Cinema. Taschen, Cologne 2009, pp. 146-147; illus. Yale University Art Gallery Bulletin 2009, State of the Art: Contemporary Sculpture, Yale University Art Gallery, New Haven, CT 2009, p. 162; illus. See This Sound: Promises in Sound and Vision, Verlag der Buchhandlung Walther König, Köln, Lentos Kunstmuseum Linz, Linz 2009, p. 127; illus. Schubiger, Irene (ed. ), Reconstructing Swiss Video Art from the 1970s and 1980s, JRP /Ringier, September 2009, p. 65; illus. Tallman, Susan and Deborah Wye, 200 Artworks – 25 Years Artistsʼ Editions for Parkett, Parkett Publishers, Zürich-New York 2009, pp. 260-261; illus. Stahel, Urs (ed. ), Darkside II, Fotomuseum Winterhur, Winterthur, Switzerland September 2009, p. 46; illus. Christian Marclay: Snap!, Edited by Valérie Mavridorakis et David Perreau (dir. ), Les presses du reel, Dijon/Genève/Rennes 2009. 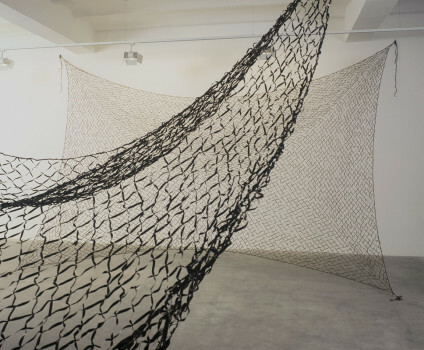 The Sickness of the Hunting Part I, Curated by Gilbert Perlein, Mamac Nice 2008, pp. 72-73; illus. Sonic Youth etc. : Sensational Fix, Verlag der Buchhandlung Walther König, Köln 2008, pp. 530-31, 623; illus. Sound of Art: Musik in Der Bildenden Kunst, Les Grandes Spectacles IIII, Museum der Moderne, Salzburg/Mönchsberg 2008, illus. Order. Desire. Light. Contemporary Drawing, Irish Museum of Modern Art, Dublin 2008, p. 100, illus. Attention to Detail, The Flag Art Foundation, New York, NY 2008, illus. This Is Not To Be Looked At: Highlights from the Permanent Collection of The Museum of Contemporary Art, Los Angeles, The Museum of Contemporary Art, Los Angeles, CA 2008, pp. 180-181; illus. Zorn, John, Arcana III: Musicians on Music, Conversation Between Christian Marclay and David Toop, Hips Road and Granary Books Inc., New York, NY 2008. Heartney, Eleanor, Art & Today, Phaidon Press, New York, NY 2008, pp. 148-149; illus. Blom, Ina, On the Style Site Art, Sociality, and Media Culture, Sternberg Press, New York, NY 2007, p. 251; illus. Art Works: The Progressive Collection, Distributed Art Publishers, New York, NY 2007, p. 63; illus. Molon, Dominic, Sympathy for the Devil: Art and Rock and Roll Since 1967, Museum of Contemporary Art, Chicago 2007 pp. 36-37, 259; illus. Exhibitionism: An Exhibition of Exhibitions of Works from the Marieluise Hessel Collection, curated by Matthew Higgs, Hessel Museum of Art, Annandale-on-Hudson 2007. Contemporary + Cutting Edge: Pleasures of Collecting, Part III, Bruce Museum, Greenwich, CT 2007. Trummer, Thomas (ed. ), Voice and Void, The Aldrich Contemporary Art Museum, Connecticut 2007, pp. 126-131; illus. Criqui, Jean-Pierre, Christian Marclay Replay, JRP Ringier, Paris 2007. The Freak Show, Musée dʼArt Contemporain de Lyon, Lyon 2007. Crossfire, White Cube, London 2007. Knode, Marilu (ed. ), Celebrity, Scottsdale: Scottsdale Museum of Contemporary Art, 2007, p. 24; illus. All About Laughter: Humor in Contemporary Art, Mori Art Museum: Tokyo 2007, pp. 203-205; illus. Art Metropole: The Top 100 National Gallery of Canada, Ottowa, Canada 2006. pp. 33, 74, illus. Block, René, Barbara Heinrich and Svetlana Petrovic, Art, Life & Confusion, 47th October Salon, Belgrade Cultural Centre, Belgrade 2006, pp. 98-9; illus. Kamera Los: das Fotogramm, Museum der Moderne, Rupertinum, Salzburg 2006, pp. 4, 42; illus. 34th International Film Festival Rotterdam (catalogue), Rotterdam 2005, p. 407; illus. Gonzalez, Jennifer, Kim Gordon and Matthew Higgs, Phaidon Press Ltd., London 2005; illus. Material Matters, Herbert F. Johnson Museum of Art, Cornell University, New York, NY 2005; illus. .ipeg bild.ton.maschine, Künstlerhaus Bethanien, Berlin 2004; illus. Basilico, Stefano (ed. ), CUT Film as Found Object in Contemporary Video, Milwaukee Art Museum, Milwaukee, WI 2004; illus. Disparities & Deformations: Our Grotesque, SITE Santa Fe, New Mexico 2004; illus. Doronick, Jim (ed. ), Aural Cultures, YYZ Books, Toronto, Canada, 2004; illus. In Extremis; Printemps de septembre in Toulouse Festival of contemporary images, Les Abattoirs, Toulouse 2004; illus. Lovejoy, Margot, Digital Currents: Art in the Electronic Age, Routledge, New York, NY 2004, p. 281; illus. Playlist, Palais de Tokyo – Site de Création Comtemporaine / Éditions Cercle dʼArt, 2004. Reactivity: unpredictable past, NTT Publishing Co., Ltd., Tokyo 2004, pp. 49-55; illus. Sons & Lumieres, Centre Pompidou, Paris 2004 illus. Taylor, Terry. Altered Art, Lark Books, New York, NY 2004, p. 13; illus. The Bell and the Glass, Philadelphia Museum of Art in collaboration with Relache Inc., Pennsylvania 2003. Christian Marclay, UCLA Hammer Museum, Steidl, Los Angeles 2003, pp. 148-151, cover; illus. Go Johnny Go, Kunsthalle Wien, Wien 2003. Goetz, Ingvild and Stephan Urbaschek. >>fast forward: Media Art Sammlung Goetz, Kunstverlag Goetz GmbH, Karlsruhe 2003, p. 425. Incommunicado (published on the occasion of the exhibition), Hayward Gallery, London 2003, pp. 74-77. Lavigne, Emma (et al. ), Electric Body: Le corps en scène, Beaux Arts Magazine/Cité de la musique, October 19 – July 13, 2003. Neri, Louise (ed. ), ANTIPODES: Inside the White Cube (exhibition catalogue), White Cube, London 2003, illus. The Sound of Video – Voice and Rhythm in Audiovisual Art, LAB, Copenhagen 2003. Block, René and Regina Barthel, Kunstsommer Wiesbaden 2002 – 40 Jahre: Fluxus und die Folgen, Kulturamt der Landeshauptstadt Wiesbaden, Berlin 2002. Higgs, Matthew, Ann Powers, and Ralph Rugoff, Rock My World: Recent Art and the Memory of Rock ʻnʼ Roll, California College of Arts and Crafts, Oakland 2002. Kemp, Cornelia, and Susanne Witzgall (eds. ), Das zweite Gesicht: Metamorphsen des fotografischen Porträts (The Other Face: Metamorphoses of the Photographic Portrait), Prestel/Deutsches Museum, Munich, March 8 – August 11,2002. Mahoney, Emma, Air Guitar: Art Reconsidering Rock Music, Milton Keynes Gallery, Great Britain, July 12 – September 1, 2002, pp. 44-5. Pécoil, Vincent (ed. ), Prières américaines, Dijon: Les presses du réel, 2002. Some Assembly Required: Collage Culture in Post-War America, Everson Museum of Art, Syracuse, NY, September 28, 2002 – January 26, 2003, p. 69. Stewart, Mary, Launching the Imagination, a Comprehensive Guide to Basic Design, McGraw Hill, 2002, pp. 4-7. Toop, David, Christian Marclay, in Look at the Music/SeeSound, Ystad Art Museum, Ystad, Sweden 2002, pp. 39-44. Cramer, Sue. Art>Music: Rock, Pop, Techno, Museum of Contemporary Art, Sydney 2001. Getlein, Mark, Gilbertʼs Living with Art, 6th edition, McGraw Hill 2001, p. 550. Groos, Ulrike, and Suzanne Titz, Wiederaufnahme (Retake), NAK Neuer Aachener Kunstverein, Aachen, October 14-December 2, 2001, pp. 97-101. Chérix, Christophe, Christian Marclay: Guitar Drag, in 9e Biennale de lʼImage en Mouvement, Centre pour lʼimage contemporaine Saint Gervais, Geneva 2001, pp. 82-85. Burke, Gregory and Hanna Scott (eds. ), Feature: Art, Life & Cinema, Govett-Brewster Art Gallery, New Plymouth, New Zealand 2001, pp. 30-31. Schaffner, Ingrid, Fred Wilson, and Werner Muensterberger, Pictures, Patents, Monkeys and More…on Collecting, Independent Curators International, New York 2001. Steiner, Rochelle. 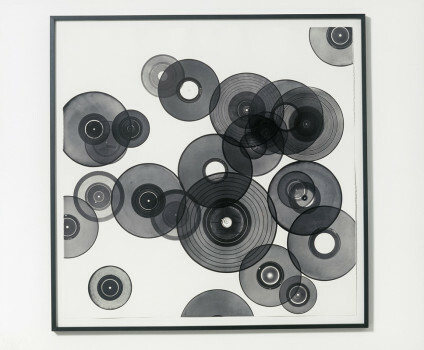 Currents 84: Christian Marclay, Saint Louis Art Museum, Saint Louis 2001. Anastas, Rhea, Christian Marclay: Video & Fotografi, Museet for Samtisdskunst Roskilde, Denmark, March 24-May 14, 2000. Art i Temps, Centre de Cultura Contemporania de Barcelona, November 28, 2000-February 25, 2001. Art on Paper 2000 (exhibition catalogue), Weatherspoon Art Gallery, Greensboro, NC, 2000. Beauvais, Yann, and Jean-Michel Bouhours, eds. Monter, Sampler: Lʼéchantillonnage généralisé, Scratch Projection/Centre Pompidou, Paris, November 2000, pp. 24, 26, 74, 78, 80, 141. Beil, Ralf and Marc Fehlmann. Eiszeit: Kunst der Gegenwart Aus Berner Sammlungen, Kunstmuseum Bern, Switzerland, July 21-October 1, 2000. Bradley, Fiona, Sonic Boom: The Art of Sound (exhibition catalogue), Hayward Gallery, London, April 27-June 18, 2000. Criqui, Jean Pierre, and Daniel Soutif, Le Temps, Vite!, Centre Georges Pompidou, Paris, 2000 (also translated into Spanish and Italian). Gale, Peggy. Tout le temps: Every Time, Biennale de Montréal, CIAC, Montréal, 2000, pp. 106-109. Marclay, Christian, Le son en images, in Lʼécoute, ed. Peter Szendy, LʼHarmattan, Ircam – Centre Pompidou, Paris 2000. Platzker, David, and Elizabeth Wyckoff, Hard Pressed: 600 Years of Prints and Process, Hudson Hills Press, New York, in association with International Print Center New York, 2000. Portis, Ben, Christian Marclay: Cinema, Oakville Galleries, Oakville, Ontario Canada, December 9, 2000 – February 4, 2001. Tempo!, Palazzo delle Espositioni, July 28-October 2000. Umedalen Skulptur 2000, Galleri Stefan Andersson, Umeå, 2000, pp. 20-21. Brougher, Kerry and Michael Tarantino. Notorious: Alfred Hitchcock and Contemporary Art, Museum of Modern Art, Oxford 1999. Doswald, Christoph. Missing Link: Menschen-Bilder in der Fotografie, Kunstmuseum, Bern, Switzerland, September 3-November 7, 1999. Frankel, David, Christian Marclay, ArtPace, A Foundation for Contemporary Art, San Antonio 1999. Kataoka, Mami (ed. ), Releasing Senses, Tokyo Opera City Cultural Foundation, Tokyo 1999. Meyer-Bueser, Susanne, and Bernhart Schwenk, Talk Show: Die Kunst der Kommunikation in den 90er Jahren, Von der Heydt-Museum Wuppertal, March 28-May 25, 1999. Haus Der Kunst, Munich, October 8, 1999-January 9, 2000. Curiger, Bice, Freie Sicht aufs Mittelmeer, Kunsthaus, Zurich, June 5 – August 30, Zürich 1998. Fibicher, Bernhard, White Noise, Kunsthalle, Bern, May 21-June 28, 1998. Godfrey, Tony, Conceptual Art , Phaidon Press, London 1998. Goldberg, RoseLee, Performance: Live Art Since 1960, Harry N. Abrams, New York 1998. Pichler, Cathrin, René Block (et al. 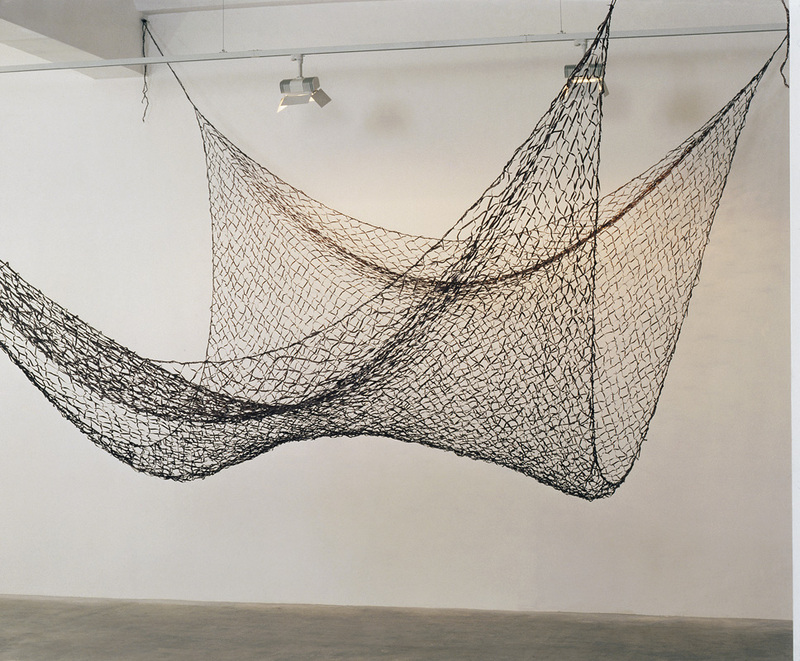 ), Crossings: Kunst zum Hören und Sehen, Kunsthalle Wien, May 28 – September 13, 1998. Poetter, Jochen, I love New York: Crossover der aktuellen Kunst, Ludwig Museum, Cologne 1998. Ritter, Michel, Fri-Art Centre dʼart contemporain Kunsthalle (annual catalogue), Fri-Art, Fribourg 1998. Smolenicka, Maria, Foto Relations, Kunsthaus, Brno, Czech Republic, 1998. Bezzola, Tobia, Dan Cameron, Simon Maurer, Catherine Quéloz, Philip Ursprung, Birgitt Wiens, Arranged and Conducted, Kunsthaus, Zurich, September 5-October 26, 1997. Blessing, Jennifer, Rrose is a Rrose is a Rrose: Gender Performance in Photography, Solomon R. Guggenheim Museum, New York, NY 1997. Doswald, Christoph, and Andreas Meyer, Nonchalance, Centre PasquART, Bienne/Biel 1997. Marcoci, Roxana, Diana Murphy, Eve Sinaiko (eds. ), New Art, Harry N. Abrams, New York, NY 1997. Obrist, Hans Ulrich, and Guy Tortosa, Unbuilt Roads: 107 Unrealized Projects, Hatje Cantz, Stuttgart 1997. Tsai, Eugenie. Pictures at an Exhibition, Whitney Museum of American Art at Philip Morris, October 24, 1997-January 25, 1998. Bogle, Andrew. Transformers: A Moving Experience, Auckland Art Gallery, Aukland, New Zealand 1996. Brougher, Kerry. Art and Film Since 1945: Hall of Mirrors, The Museum of Contemporary Art, Los Angeles (traveling), March 17-July 28, 1996. Damsch-Wiehager, Renate, Helvetia Sounds, Villa Merkel, Galerie der Stadt, Esslingen 1996. Klangkunst, Prestel & Akademie der Künste, Berlin 1996. Ritter, Michel, Fri-Art Centre dʼart contemporain Kunsthalle, Fri-Art, Fribourg 1996. Exposition Suisse de Sculpture Môtiers 1995, Editions Acatos, Lausanne 1995. Ferguson, Russell, Christian Marclay: Amplification, Chiesa San Stae, Venice Biennial, 1995, and Lars Müller, Bern 1995. Klangskulpturen-Augenmusik, Ludwig Museum im Deutschherrenhaus, Koblenz 1995. Ritter, Michel, Fri-Art Centre dʼart contemporain Kunsthalle, Fri-Art, Fribourg 1995. Rubin, David S., Itʼs Only Rock & Roll: Rock and Roll Currents in Contemporary Art, Prestel, New York, NY 1995. Brentano, Robyn, Olivia Georgia, et al. Outside the Frame: Performance and the Object, Cleveland Center for Contemporary Art, Cleveland 1994. Glasmeier, Michael, and Douglas Kahn, Christian Marclay, daadgalerie, Berlin & Fri-Art Centre dʼart contemporain, Fribourg 1994. Ritter, Michel. Fri-Art Centre dʼart contemporain Kunsthalle, Fri-Art, Fribourg 1994. Rugoff, Ralph, Transformers, Independent Curators Incorporated, 1994. Soejima, Teruto, The Stream of Contemporary Jazz, Maruzen Books, Tokyo 1994. Veenstra, Irene, My Home Is Your Home, Het Apollohuis, Eindhoven, and Stadsgalerij, Heerlen 1993. Bourriaud, Nicolas, Not Quiet, Galerie Jennifer Flay, Paris 1992. Cooke, Lynne, Bice Curiger, and Greg Hilty, Doubletake: Collective Memory and Current Art, Parkett, The South Bank Centre, London 1992. Deitch, Jeffrey. Post Human, FAE Musée dʼArt Contemporain, Pully/Lausanne 1992 (also traveled toTorino, Athens and Hamburg), pp. 114-115. Koestenbaum, Wayne, Masks, Galeria Valentina Moncada, Rome 1992. Landau, Suzanne, and Jim Lewis, Réflexions Voilées, The Israel Museum, Jerusalem 1992. Macioce, Michael, Light & Dark, Shimmy Disc Publication, New York, NY 1992. Ritter, Michel, Fri-Art Centre dʼart contemporain Kunsthalle, Fri-Art, Fribourg 1992. Armstrong, Richard (et al. ), 1991 Whitney Biennial (exhibition catalogue), Whitney Museum of American Art, New York, NY 1991. Cameron, Dan, The Savage Garden, Fundacion Caja de Pensiones, Madrid 1991. Just What Is It That Makes Todayʼs Homes So Different, So Appealing?, The Hyde Collectionʼs Charles R. Wood Gallery, Glens Falls, New York, NY 1991. Celant, Germano and Paula Marincola, Residue Politics, Beaver College Art Gallery, Glenside, PA 1991. Christov-Bakargiev, Carolyn. Storie, Galleria Campo, Rome 1991. Jaguer, Edouard, and Jean-Jacques Lebel, After Duchamp, Marcel Fleiss Galerie 1900-2000, Paris 1991. Lauf, Cornelia, and Susan Hapgood (eds. ), FluxAttitudes, Hallwalls Center & The New Museum, 1991. Brunon, Bernard, Status of Sculpture, Espace Lyonnais d’Art Contemporain, Lyon 1990. Cruz, Amada, Christian Marclay: Directions, Hirshhorn Museum and Sculpture Garden, Smithsonian Institution, Washington D.C. 1990. Hosokawa, Shuhei, Aesthetics of Records, Keisoushobou, Japan 1990. Lander, Dan, and Micah Lexier (eds. ), Sounds by Artists, Art Metropole, Toronto 1990. Insert by Marclay. Lieberman, Rhonda, Catherine Liu, and Lawrence Rickels, Stendhal Syndrome: The Cure, Andrea Rosen Gallery, New York, NY 1990. Block, Ursula, and Michael Glasmeier, Broken Music: Artists’ Recordworks, daadgalerie, Berlin 1989.
Cooper, Dennis, and Harm Lux, Christian Marclay, Shedhalle, Zürich 1989. Exposition Suisse de Sculpture Môtiers 1989, La Chaux-de-Fonds, Môtiers 1989. Trippi, Laura, Strange Attractors: Signs of Chaos, The New Museum of Contemporary Art, New York, NY 1989. Arteau, Gilles, and Louis Oellet, Obscure 1982-1988, The Canada Council, Quebec City 1988. Block, Ursula, Peter Frank, Christian Marclay, et al. Extended Play, Emily Harvey Gallery, New York, NY 1988. Cameron, Dan, Redefining the Object, University Art Galleries, Wright State University, 1988. Schwartz, Dieter, Kunstverein Freiburg, Kunstverein, Freiburg, 1988. Frank, Peter (et al. ), Fri-Art: Made in Switzerland (exhibition catalogue), Fri-Art, Fribourg, Switzerland, 1985.